Solent Park, Southampton was the site of the Festival Stage, venue for the official opening of the 48th Southampton Boat Show. 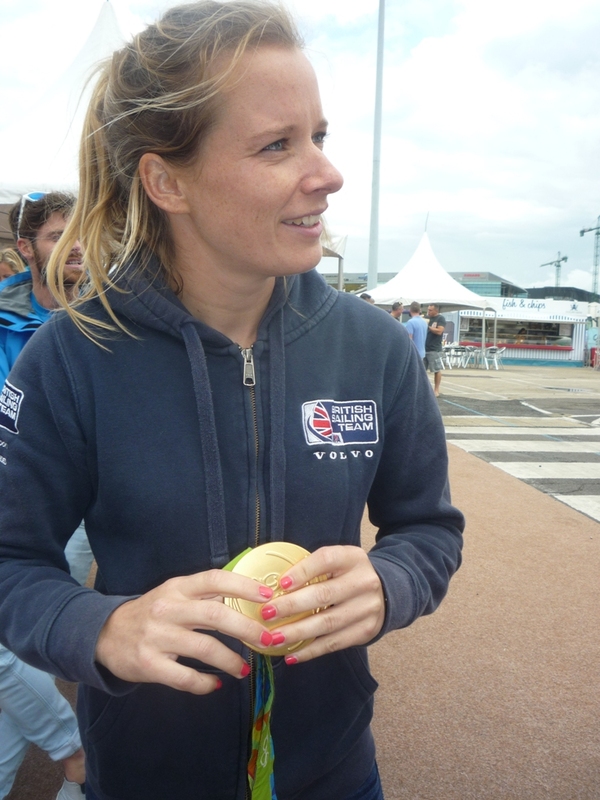 Rick and Zoe, hosts of the Heart FM Breakfast Show welcomed members of the Team GB Sailing Squad. Amongst them were four Rio medallists. Nick Dempsey took silver in the RS:X Windsurfing- his third medal in five games- to become the most decorated windsurfer. Following Sir Ben Ainslie’s dominance in the Finn Class Giles Scott struck gold on his debut. 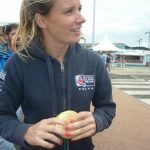 Saskia Clark and Hannah Mills, who won silver in the Women’s 470 in London, went one better in Rio but Saskia has now announced her retirement. 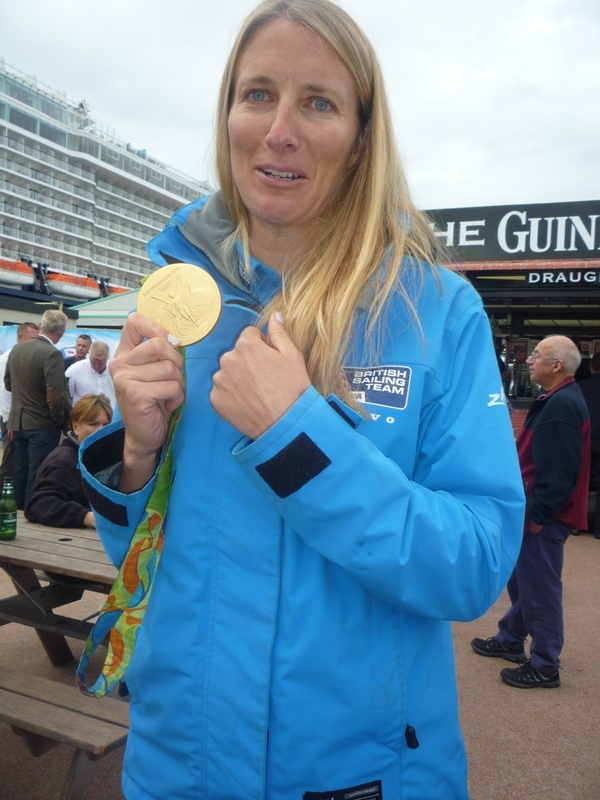 It was a honour to see the gold medals up close and to confirm that, as reported on TV, they really are quite heavy. Unlike some years when winners’ names were engraved on the back of the medal, for Rio the names were engraved around the edge. Both Hannah and Saskia had been Brownies. Hannah said she had been a Brownie in Cardiff whilst Saskia had been a Brownie whilst living in Essex. She happily recalled gaining her Hostess and Collectors Badges. 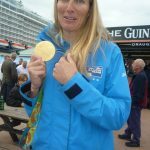 Both said that they had really enjoyed being a Brownie but as they got older their love and dedication to sport had taken over. Performing the official opening of the show was Michelle Keegan. Having departed Coronation Street actress Michelle will be seen in the upcoming ITV drama ‘Tina and Bobby’. It is based around England’s World Cup winning captain Bobby Moore and his relationship with his wife Tina. 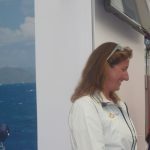 During the show’s opening ceremony Michelle spoke of her love of being on the water and said she was looking forward to exploring some of the boats on display. 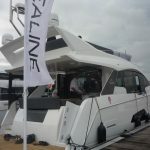 Sunseeker International, based in Poole, was the subject of a recent BBC documentary giving a fascinating insight into the company. Founded by brothers Robert and John Braithwaite as Poole Power Boats in 1969, it changed to its present name in 1985. 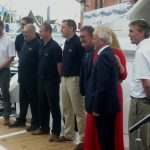 For the launch of the latest boat in the Sunseeker range singer Melanie Elder gave a mini Proms recital which included ‘Rule Britannia’. 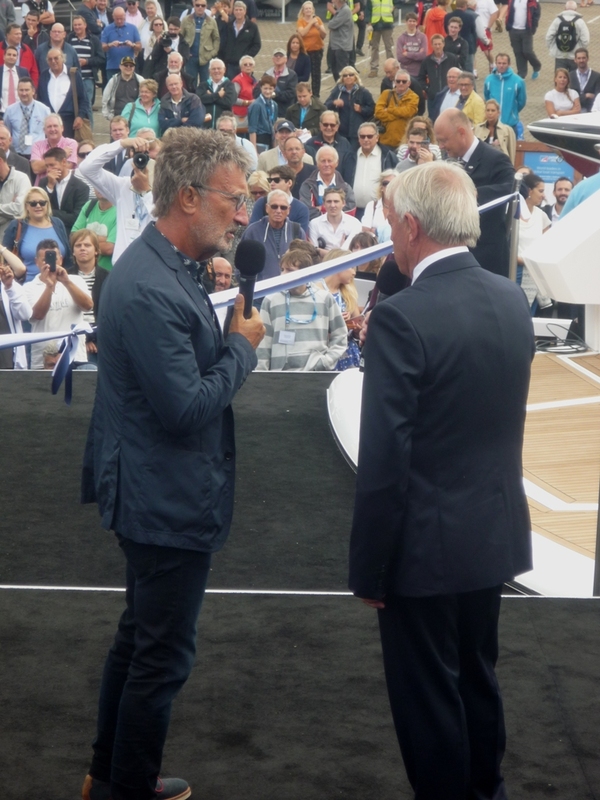 This was followed by the entrance of Grand Prix pundit and proud Sunseeker owner Eddie Jordan and Robert Braithwaite. 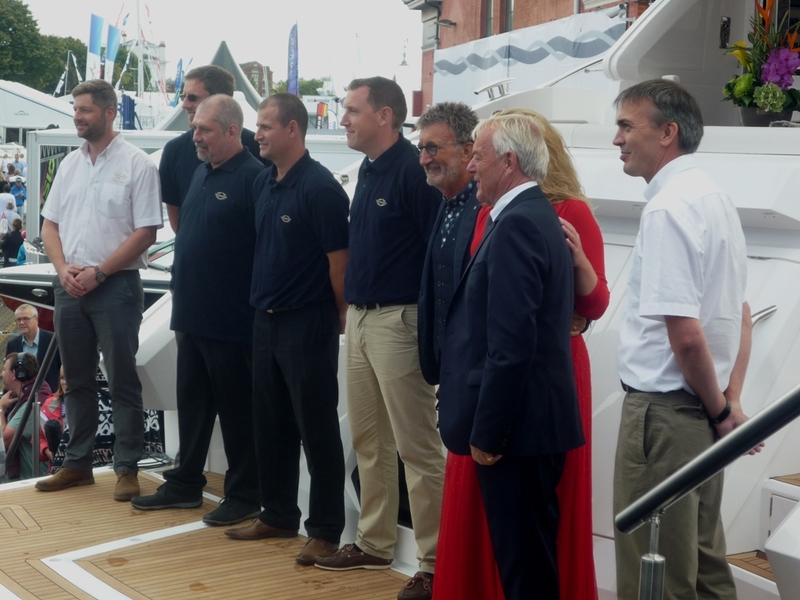 However, it was six workers from the Sunseeker base in Poole, chosen by ballot, who stole the show by cutting the ribbon. Eddie introduced Chris who has 23 years’ service with Sunseeker and Terry who has clocked up 15 years. From the power of Sunseekers to the power of sail, ‘Artemis’ which was built in Norway in 1926 proved very popular with visitors. 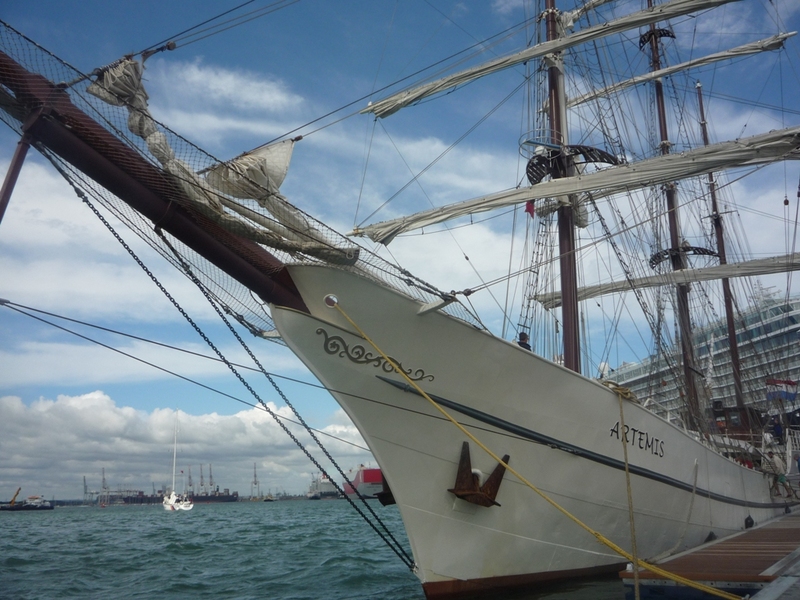 When in full sail she boasts a total of 17 sails and for the duration of the show is open to the public. 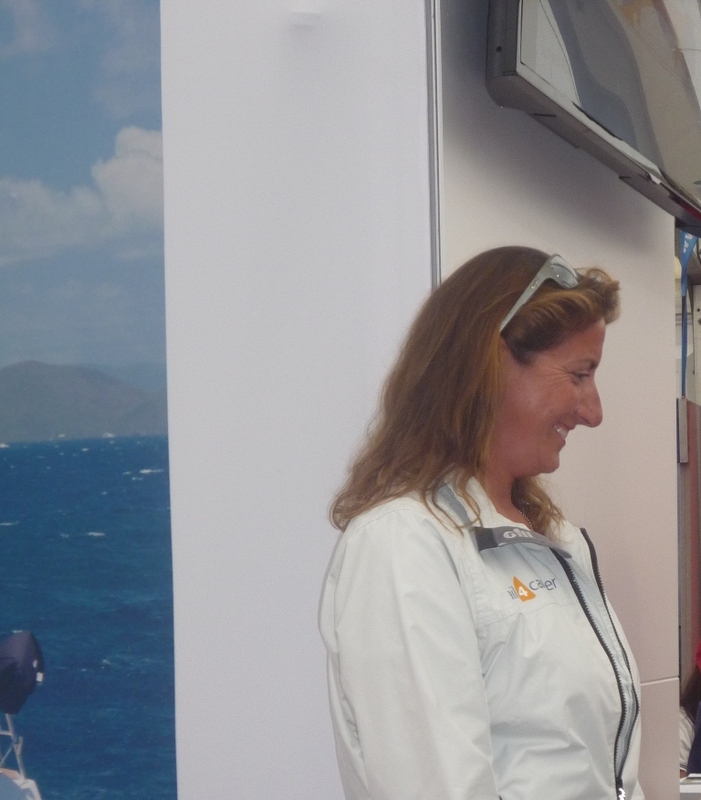 Fresh from her appearance as a Sunsail Ambassador at Cowes Week Dee Caffari MBE was on hand to launch the 2017 Sunsail brochure which introduces new destinations and boats to the range of sailing holidays. 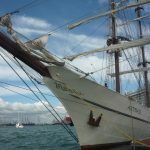 Cowes Week 2017 (29thJuly- 5th August) will feature once again on the Sunsail calendar offering the chance to sail in races to those who do not have their own boat. At the show Dee Caffari was also supporting the Magenta Project in association with Bainbridge. On other stands Sebago which makes shoes ideal for sailing with some of their brands designed to drain any water that gets into the shoe, were celebrating 70 years as well as introducing the SS17 Marine collection and Sealine now owned by German Company Hanse showed off their latest boat the F530 which has panoramic windows in the main cabin as well as many innovative features. 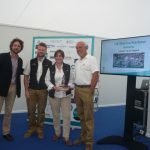 At the end of the first day the 2016 Sailing Today Awards were presented. This event was hosted by Chelsea Magazines with Editor Sam Fortescue acting as compere. For once he had missed AAM Cowes Week in favour of cruising in Brittany aboard his Sadler 34 yacht. 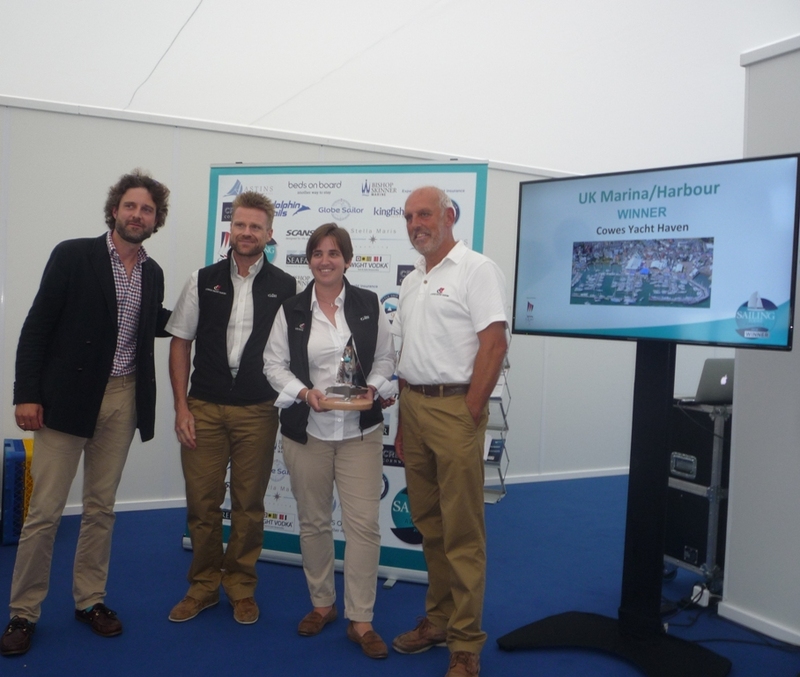 As already reported on Island Echo there was success for Cowes Yacht Haven in the UK Marina/Harbour category. Jon Pridham said they had been thrilled to be nominated and commented that the season of regattas is still running. Jon has been at CYH for 6 years having previously been based in Gunwharf Quays. Away from the water he is a keen cyclist. Winning the Lifetime Achievement Award at the Sailing Today Awards was author and sailor Rod Heikell whose pilot books are based on destinations in the Mediterranean. Wight Vodka sponsored the Cruiser Sailor category which was won by Bill and Judy Rouse from Texas. 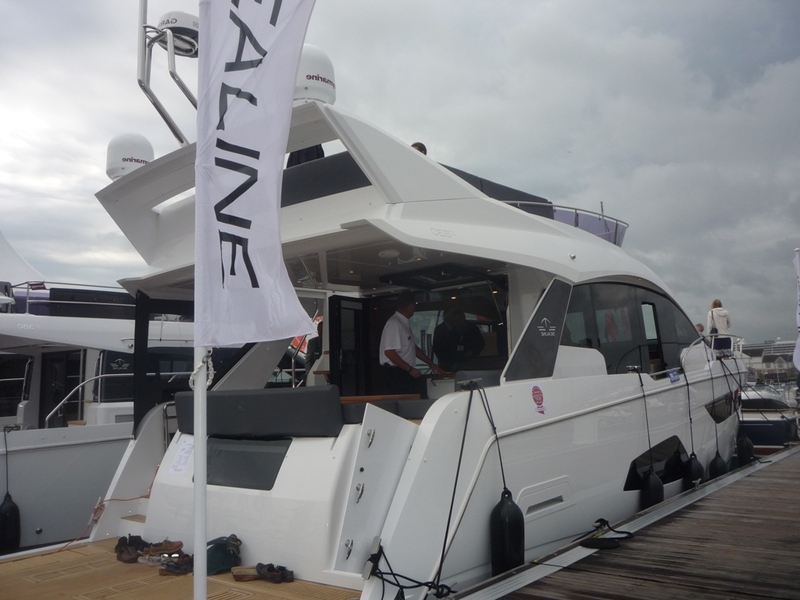 Southampton Boat Show continues until Sunday 25th September. Thursday will see Ladies Day and the launch of the 50th edition of the Antigua Race Week in which yachts from across the World compete. 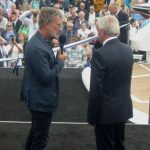 To enable yachts from other parts of the World to take part in the waters around Antigua, Peters and May based in Hampshire will act as shippers. Special discounted tickets for the show are available on line via the show’s official website. 11th Newport Guides join in Great British Spring Clean. © CC BY-NC-ND 2019. Website by Solent Create in accordance to Girlguiding UK's brand guidelines.